Last month, we hosted a contest in order to reward those with a burning desire in their lives. We requested individuals to answer a series of questions about themselves and their passion in life. We had well over a 100 responses and were especially blown away by the quality of responses: a lot of individuals focused on travel and photography. Others focused on becoming entrepreneurs or taking care of their family members, which we greatly admire. To all those who didn’t win. we’d like to say this: no matter what your passion is, we at HNB Assurance are committed towards making that passion a reality. 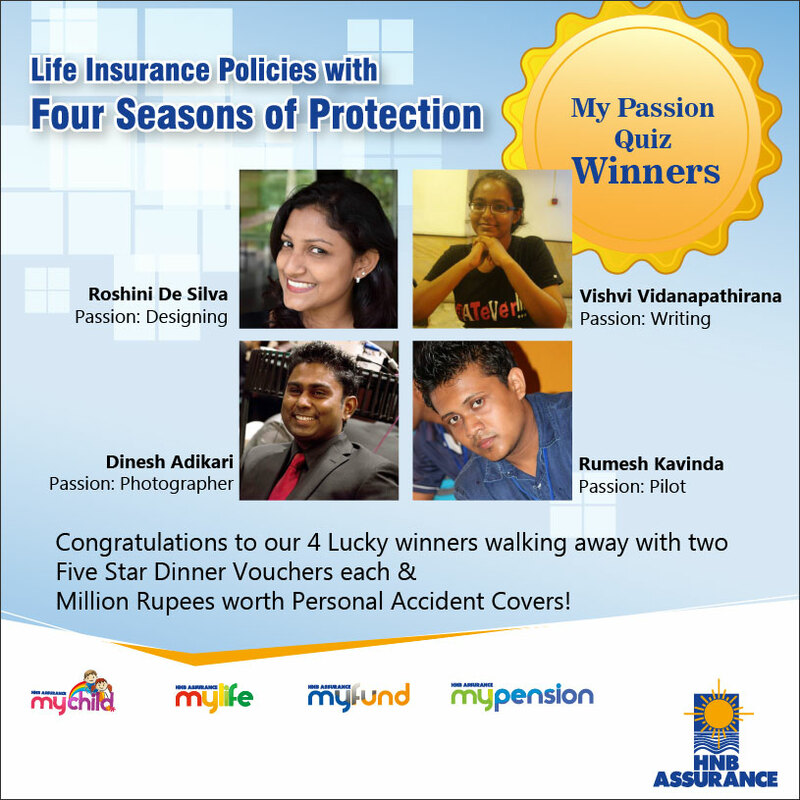 We will safeguard your aspirations with our ‘4 seasons of protection’ via our life insurance products: myChild, myLife, myFund & myPension. Call our 24 hour hotline on 0114-384-384 and secure your dreams today.